In Precarious Life, Judith Butler (2004) argues for a feminist transnational politics based on the precarity of life – the corporeal vulnerability that we each share. In the US-Mexico borderlands, the violence associated with militarized border enforcement brings the precarity of life into sharp relief; several recent shootings by agents of the US Border Patrol are illustrative. On 2 October 2012, US Border Patrol Agent Nicholas Ivie was shot in the head and killed about eight miles north of the town of Naco, Arizona. Politicians, right-wing activists and others in the news media immediately seized on Ivie’s death to reinforce a narrative of danger and threat ‘spilling over’ from Mexico into the US homeland. As Cochise County Interim Sheriff Rodney Rothrock stated, “The danger zone can extend pretty far north of the border” (quoted in Ryan et al. 2012). Importantly, these associations continued even after it became clear that Ivie was a victim of ‘friendly fire’ at the hands of two other Border Patrol agents (see, for example, Elkin 2012). A mere ten days after Ivie’s killing, another tragic shooting occurred, this time on the other side of the border in Nogales, Mexico. On 12 October 2012, 16-year-old José Antonio Elena Rodríguez was gunned down through the border fence by an as-yet unnamed Border Patrol agent. The Border Patrol, at the time, claimed that this shooting was a response to a ‘rock throwing’ incident in the area. For those on the Mexican side of the border, the throwing of rocks is common play in the streets and, at times, a frustrated response to Border Patrol presence and harassment from the other side of the border. However, the Border Patrol frames rock throwing as an armed incursion into US territory, justifying the use of lethal force under their established rules of engagement (Skoloff 2012). Just the geography of the space in which José Antonio was killed draws into question the threat he could possibly have posed: José Antonio was shot seven times in the back by a Border Patrol agent who stood atop a 30-foot embankment on the other side of a 20-foot steel border fence, with openings only a few inches wide. Other tragic stories abound. In Chula Vista, California in September, Valeria Munique Tachiquin was shot to death by plain-clothes Border Patrol agents as she drove through her neighborhood (Munique Tachiquin was merely a bystander to an undercover enforcement action). On 3 September 2012, Border Patrol agents opened fire on a group of men, women and children picnicking on the southern banks of the Rio Grande, killing Guillermo Arevalo Pedraza, age 37 and father of two. In total, since 2010 19 individuals have died at the hands of US Border Patrol agents*, as struggles to ensure ‘national security’ are waged on and through the bodies of those on both sides of the international divide. Children gather at the site where José Antonio Elena Rodríguez was killed during a binational protest march, 2 November 2012. Credit: Murphy Woodhouse. These attacks are taking place in the context of historic reductions in the rates of unauthorized migration into the United States, and crime statistics in border counties showing that many are among the safest in the country. For example, the murder of Munique Tachiquin represented one of only three murders or manslaughters in Chula Vista in 2012. In Douglas, Arizona the 2011 killing of 19-year old US citizen Carlos LaMadrid was only one of two homicides reported over a six-year period. In the aggregate, crime rates in the 24 US counties along the southwest border have dropped by 30% since 1990 – and the region has one of the lowest violent crime rates in the country. Thus, in many border towns, Border Patrol agents present a threat far greater than that posed by the drug traffickers, unauthorized migrants, or potential terrorists that are used to justify securitization efforts. Since 1989 the Border Patrol budget has increased from $232 million to $3.6 billion in 2012 – a 750% increase when accounting for inflation, with the largest growth coming after the formation of the Department of Homeland Security in 2002 (Rosenblum 2012). Accompanying the overall budgetary growth, the number of Border Patrol agents has also dramatically expanded. The number of agents has increased more than nine-fold since 1998, and more than doubled between 2003 and 2011. As of 30 September 2011, there are 21,444 agents now deployed along both of the United States’ land borders, along the gulf coast, and in Puerto Rico (US Customs and Border Protection 2011). A makeshift memorial to José Antonio Elena Rodríguez on the US-side of the international border wall in Nogales, Arizona. Credit: Murphy Woodhouse. There is a shocking self-referentiality at play in the United States’ justification for this expansion, and the Border Patrol’s account of its purpose and objectives. For example, the two over-arching goals included in the Border Patrol’s 2012 National Strategic Plan are: [i] “Secure America’s Borders” (an objective formally lacking any metric to evaluate progress or success); and [ii] “Strengthen the Border Patrol”. Like a snake eating its tail, the shootings discussed above provide dramatic illustration of how ‘threat’ in the US Homeland Security context has come to feed on itself. Rather than responding to insecurity, the Border Patrol’s entry into communities produces it. Over-reaction by US authorities is producing the very conditions that such authorities are nominally deployed to contain. In recent years, critical geographers and others have examined the discursive and material processes whereby transnational mobility is regulated via various forms of border enforcement and securitization. As Didier Bigo (2002) discusses, the securitization of migration operates as a self-perpetuating political technology that affirms the role of state institutions as providers of safety and protection, while simultaneously masking the state’s very failures in this domain. Reece Jones (2012), similarly, argues that the proliferation of border fencing globally is a re-investment in the fortification of geopolitical boundaries as a buffer against threats narrated as simultaneously transnational and existential. The power of this discourse of ‘threat’ stems in part from the way in which it maps onto racialized and gendered bodies, who then stand in for actually existing ‘terrorists’ or other purveyors of violence. As everyday life in the borderlands becomes saturated with security rituals and technologies (see Katz 2007; Amoore and Hall 2010), banal spaces such as public street corners and bus terminals have become sites of surveillance and risk-assessment folded into the policing of the population (Mountz 2011). While much literature has followed the militarization of the US-Mexico border and the implications this has had for unauthorized migrants and migration (see, for example, Dunn 1996; Nevins 2002), we know much less about how this militarization affects everyday life for those who live in the region, on both sides of the international line. Following feminist scholars like Jennifer Hyndman (2001) and Sara Koopman (2012), the proliferation in recent years of enforcement-related violence along the US-Mexico border should challenge us to reconsider what is meant when the term ‘security’ is invoked. What desires does security attach to? For whose bodies, and at what scale, is security operative? What would it mean to prioritize the security of individual and subaltern bodies over those of the state or its abstract territorialization? The recent string of Border Patrol shootings has rattled Arizona and Sonora border communities, and compelled political mobilization. On 2 November 2012, activists and community members gathered on both sides of the international divide in Nogales, Arizona and Nogales, Sonora to protest the shooting of Jose Antonio Elena Rodríguez, the 2011 shooting death of 17-year-old Ramses Barrón Torres, and Border Patrol violence more broadly. Participants carried signs and candles remembering those who have lost their lives and calling for an end to border militarization. Importantly, it was not only pictures of José Antonio and Valeria Munique Tachiquin that were carried in remembrance; also carried were photographs of Agent Ivie. In carrying this latter photo, activists drew attention to the ways in which border enforcement practices affect all of those in the borderlands, not just the individuals or communities nominally designated as targets of policing – drawing into question whose lives, exactly, are being secured? In this way, the shared precarity of life in the borderlands offers a basis for a transnational political response to a ‘securitization’ process that seems increasingly out of control. Araceli Rodriguez, mother of José Antonio Elena Rodríguez, shares condolences across the border wall with Guadalupe Guerrero, mother of Carlos LaMadrid – a 19-year-old US citizen shot in the back three times by a US Border Patrol agent in May 2011 – during a binational protest march, 2 November 2012. Credit: Murphy Woodhouse. With discussion of ‘immigration reform’ again being taken up in the United States, the need for ‘border security’ is almost always presented as a given – as a natural imperative that all sides can (and must) agree on, and as a condition for other legal reforms that might provide a pathway for undocumented immigrants to regularize their status. But the recent string of shootings discussed above poses in sharp relief the following questions: What has been produced in this expansion of border policing? And what exactly does ‘security’ entail when border security is discussed? How might we imagine and articulate other futures for the region that constructively depart from those offered by its abstract ‘securitization’? As scholars working, living, and studying in the border region, we believe that it is critical that such questions be raised publicly – that our scholarship be brought to bear on such matters of public concern. There is no indication that the current trend toward expansion and militarization of the United States’ border enforcement project will abate any time soon. We thus share a responsibility with other residents of the border region to draw attention to the everyday consequences of these practices, and use what insights we can from our scholarship to question the underlying premises presently shaping state action in the region. Geoffrey Boyce is a PhD student in the School of Geography and Development at the University of Arizona. His research focuses on the expansion of Homeland Security and border policing along the Mexico-United States and Canada-United States borders. Jill Williams is a doctoral candidate in the Graduate School of Geography at Clark University. Her research explores issues of sovereignty, national belonging, and state violence through the lens of contemporary border enforcement practices. Murphy Woodhouse (murphywoodhouse@email.arizona.edu) is a multimedia journalist and MA student at the University of Arizona’s Center for Latin American Studies. *This figure doesn’t begin to address the thousands of migrants who have died attempting to cross the Arizona-Mexico border – at least 187 in 2012 alone. Geoff Boyce and Jill Williams on life and death at the US-Mexico border. 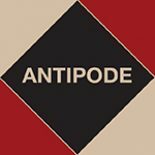 This entry was posted on 10 December 2012 by Antipode Editorial Office in Interventions and tagged borderlands, borders, homeland security, immigration, Mexico, migration, militarism, militarization, policing, political technologies, protest, resistance, risk, securitisation, security, surveillance, territorialisation, territory, transnational activism, transnational mobility, US Border Patrol, US-Mexico border, USA, violence.